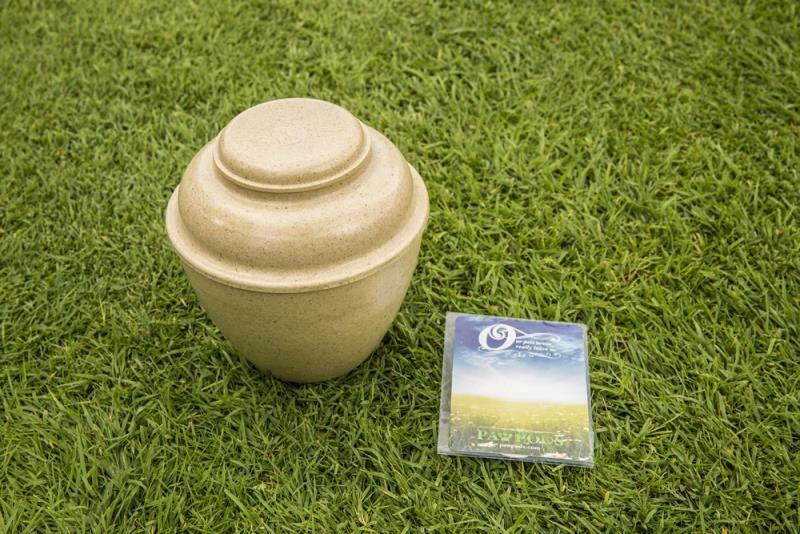 The Large Urn by Paw Pods is constructed of 100% Bamboo and Rice Husk biodegradable plastic and is an inexpensive alternative to a casket. It features a wide mouth and can hold up to 15 cubic inches. 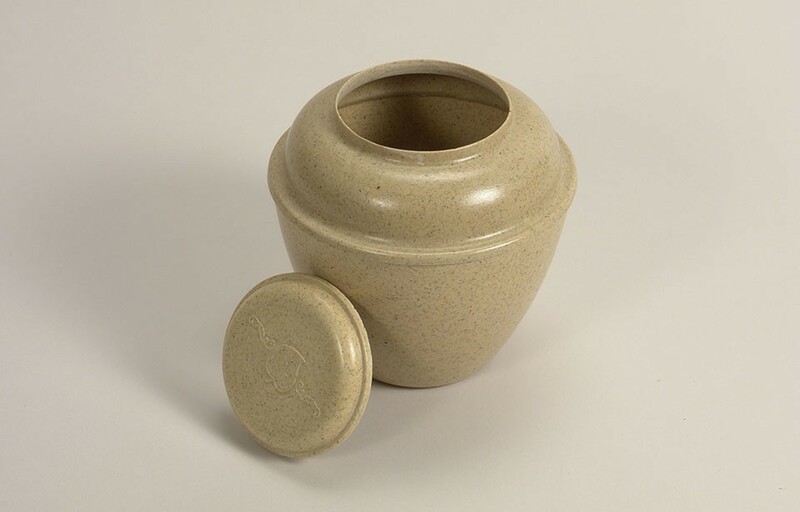 The urn is a light tan color with a smooth finish.